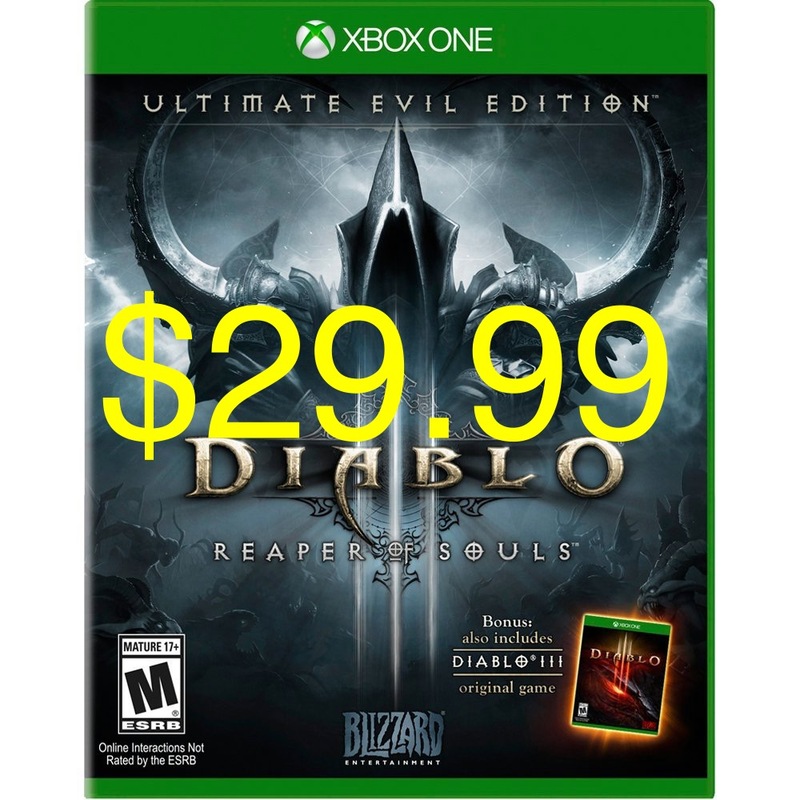 Diablo III: Reaper of Souls – Ultimate Evil Edition, is currently on sale for $29.99. The game given the Editors Choice award by IGN. DIII:RoS-UEE (I guess regular evil isn’t good enough) is a game pack of Diablo III and the expansion – Reaper of Souls – yup and the endless adventure mode! This game is definitely worth the $30. Click here to pick up the PS4 Edition. Click here for the Xbox One Edition!